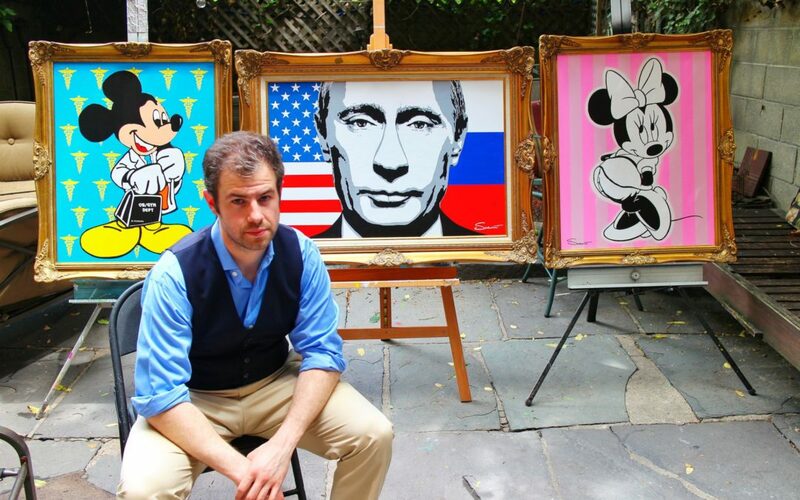 MIAMI – November 17, 2015 – Wynwood Lab, a new members-only collaboration space, gallery, and event venue featuring high-endart, home decor, and luxury products, has announced that medical doctor and artist Steven Swancoat, one of its first artist members, will be displaying work she created for Russian President Vladimir Putin. A self-taught painter who first picked up a brush just four years ago, Swancoat is quickly gaining a reputation as a talented and creative artist. “I had no art training, and not really much of an interest to speak of, until my dad visited me in New York and encouraged me to give photography, and later painting, a try,” he said. Ultimately, a chance conversation with a fellow doctor who also happened to have been a physician on the last Russian Winter Olympic team and a colleague of Vladimir Putin led to Swancoat completing a series of paintings for the Russian President.